The U.S. Smoke & Fire – SD60GS 1Hr Fire Protective Smoke Curtain with Egress is a 1-hour rated UL Listed, Labeled, and Recognized GRAVITY FAIL SAFE deployable fire protective smoke curtain system composed of a glass- fiber fabric in a Panama weave, rolled on a round steel tube in a fire rated assembly. 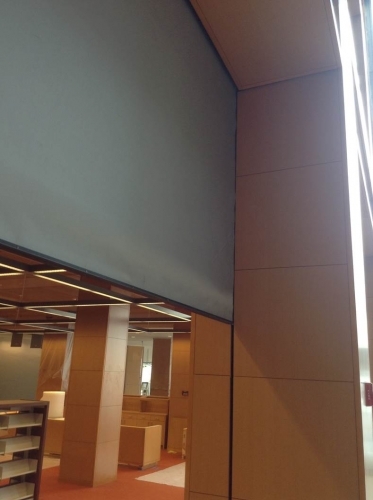 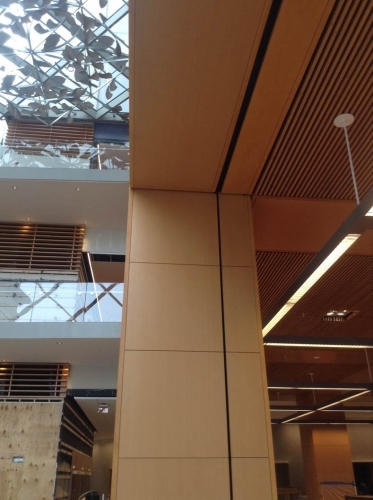 The curtain remains retracted above the finished ceiling by a low voltage system until activated by a fire alarm, smoke alarm or fusible link at which point it descends at 6 in/sec. 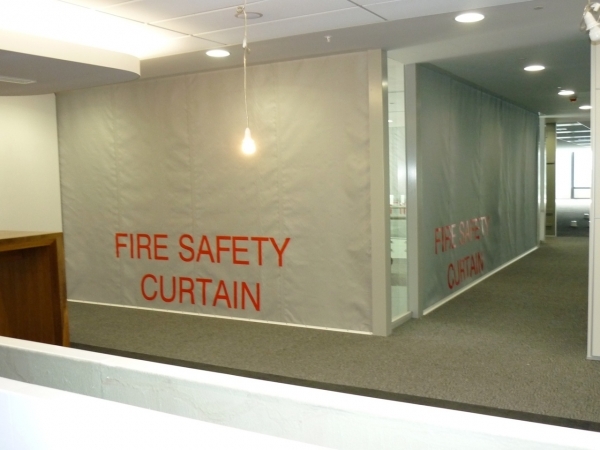 and creates a smoke and fire barrier. 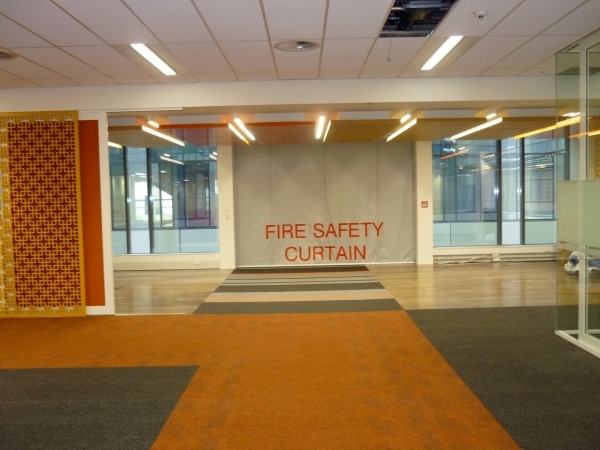 1-hour smoke and fire rated Curtain fabric. 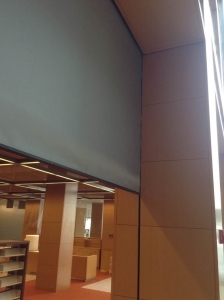 Screen rewind switch on both sides of curtain. 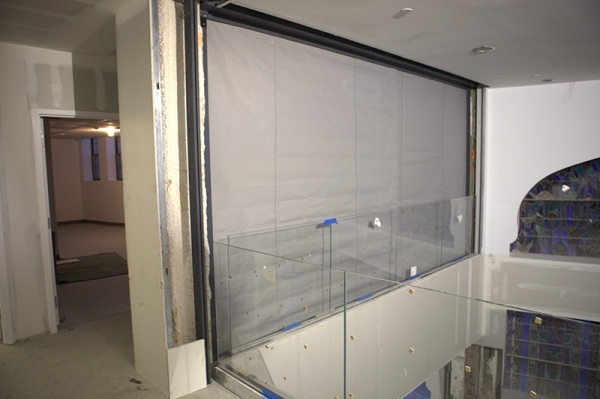 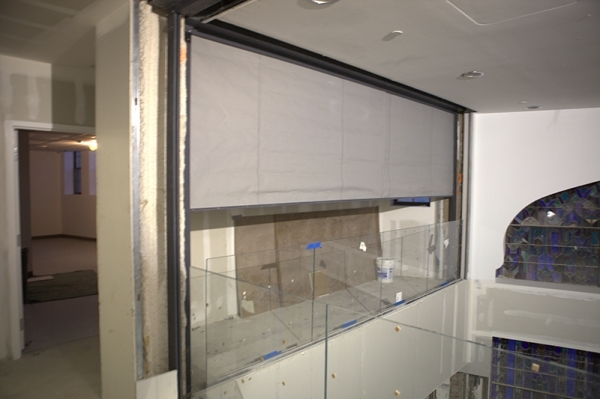 Optional split curtain as a secondary egress per section 3.1.2. of ICC AC77.